To save the high resolution e-book (52.4MB PDF), right click on the picture and select Save As. 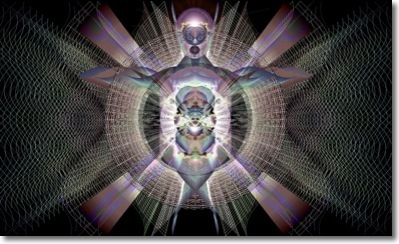 Harmonic Interference Theory represents a major breakthrough in our understanding of music and perception. Triggered by a moment of insight thirty years earlier, this theory explains how harmonics combine to form coherent geometrical patterns that our auditory system recognizes as simple shapes. Using a spectral analysis of harmonic interference over an octave, the author shows how reflective patterns on vibrated surfaces can be found in the growth patterns of the human anatomy, particularly our ears and brain. From this simple correspondence, perception of music is then explained as the natural process of anticipating and matching harmonic interference patterns against identical structures in our auditory system. When represented visually, music becomes organic geometries floating inside a harmonically structured space - exactly as our ears and brain understand it. But this is only the beginning. The author goes much further to show how everything in nature can be described as crystallized harmonics. Drawing on the latest scientific research and cutting-edge theories in the fields of genetics, quantum physics and cosmology, a unified harmonic model is proposed for the study of coherence on both a micro and macro scale. 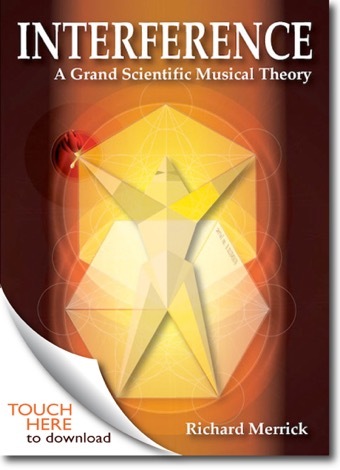 Out of this emerges a grand scientific musical theory that reintegrates ancient harmonic science with quantum physics to explore the deeper mysteries neither can answer alone.